How much does it cost for your company to acquire a customer? Driving CAC down while simultaneously driving revenues up is something that many SaaS companies struggle to do. Joanne Chen, Partner at Foundation Capital, sits down with Jeff Samuels, VP of Security Marketing at Cisco; Sunil Rajaraman, Senior VP of Marketing at Replicon; and Guillaume Cabane, VP of Marketing at Segment discuss their tactics on driving down CAC, how to measure success, and what tactics to leverage. It’s important to remember that CAC is so much more than just a metric. As Jeff puts it, it’s the way a company breathes. And there are certainly ways that you shouldn’t measure customer acquisition. At the end of the day, if you have customers that are willing to talk about your product and what an amazing experience they’ve had with it, it makes every department’s job that much easier. Anthony Kennada: This is our last session, I believe, of the tactical stage. Super excited about it. The title is, “Make Sure CAC Doesn’t Kill You: Driving Low Cost Customer Acquisition.” Super excited, personally, to hear this one. The moderator today, I want to bring her up to the stage, is Joanne Chen, a partner at Foundation Capital, and if you want to go ahead and bring up the panel as well. Let’s welcome her to the stage. Joanne Chen: Thanks everybody for coming. I’m Joanne. I’m a partner at Foundation. We’ve been investing in SaaS for a very long time, so I’m super excited to be here. This topic, the cost of customer acquisition, is also a favorite of mine. I work with five SaaS companies currently, and I know that we discuss this ad nauseam. In fact, I came from a board meeting this morning where we spent probably 30 percent of the time trying to brainstorm on how to lower our costs. Why is it such an important and interesting topic? This topic was largely ignored in 2014 and 2015. We saw some of the consequences of that. Startups have the mentality of grow at all costs, putting a lot of money into growing topline, no matter what. The result of that, CB Insights actually started a tracker tracking how many companies raise down rounds since 2015 because growth and revenue is not all created equal. Luckily, today we have three amazing panelists who are experts in thinking about lowering customer acquisition. We’re now smarter and hopefully smarter because of these guys. I’ll let each one of them introduce themselves. They all come from very different companies and different perspectives. Hopefully, you guys will find this valuable. Maybe Guillaume, you can start. Guillaume Cabane: Hey. I am Guillaume. I am the VP of Growth at Segment. Segment is a platform to help you collect your data from where it happens and routed to where it’s valuable. Prior to that, I work in various startups as Head of Growth and I started my career at Apple in online B2B sales, 12 years ago now. Jeff Samuels: My name is Jeff Samuels. I am glad to be here. I currently run Security Marketing for Cisco. I came to Cisco via the OpenDNS acquisition. At OpenDNS, I was Chief Marketing Officer and really thought about this topic and concept a lot there. I’m looking forward to having this conversation with these great panelists. Sunil Rajaraman: Hi, I’m Sunil. I run marketing at Replicon. We’re an HR software company. We sell time and attendance solutions, and professional services, automation solutions. Emergence is one of our investors. Prior to Replicon, I was actually an EIR at Foundation, and before that I was co founder and CEO of a company called Scripted, which was a marketplace for businesses to hire freelance writers. By night, I write satire. [laughs] I have a digital publication called “The Bold Italic,” which some San Franciscans might be familiar with. I wrote a series called “This is Your Life in Silicon Valley,” which was fun. Joanne: Sunil’s being very modest. His satire pieces have reached a million people. At least one of the pieces did really well. Maybe to start, how do you guys think about defining low cost of customer acquisition? I know it’s very different across different organizations. Sunil, maybe you can start with sharing with us how you think about it. Sunil: Yeah, like all of you, we use traditional metrics, CPL, conversion, etc. Everybody is in search for that mythical channel that’s going to drive down acquisition cost. My big thing now is, what if we spent all of that time that we were searching for that mythical channel and instead focused on the tactics that actually work? And so, trying to drive down acquisition in very traditional ways, rather than searching for something that doesn’t exist necessarily. Jeff: I look at customer acquisition a little more holistically. It’s not a marketing metric. It’s great that there’s so much focus on it now and it can draw a crowd like this, which is really important, but it’s the way a company breathes. The metrics on Atlassian are off the charts and there has been a lot written about it. But it’s about reducing friction of the customer coming on board and using the product. That is where it starts and then you can amplify that via great tactics, like Sunil was saying. Joanne: Guillaume, what do you think? Agree, disagree? Guillaume: I’d love to disagree, but not yet. [laughs] My main focus is not usually on finding the cheapest channel, nor on finding the biggest channel, but on actually fixing leaky buckets. Most companies that I work for, that I consult with, have very leaky buckets and you’re just like pouring more leads into a website that does not convert. I really love actually finding a way to patch that bucket and have a very high conversion rate, and then any cost flies if you convert like a very high number. I actually like to take the opposite stance and say, “I’m ready to pay actually more than you’re used to,” because I can score with some tools and can talk about that and then I can convert those people better. I like to look for the best customers than the cheapest customers. Joanne: Absolutely. Leads are not created equal either. The leaky bucket problem is something that we’ve all faced at some point. Thinking about how do you measure success in this realm, how do you guys think about success? What are some of the structures, or tools, or methodologies, and how do you communicate that to your companies? Guillaume: For me, success is beyond just the cost of acquisition or the return on investments. Success is the great customer experience. We’re trying to pull from the market and pull from all of those channels, those potential customers. You’re creating a friction as you said or a cognitive load. If you can make that experience as good or as fantastic as possible and actually reduce the friction, then you’re going to have by effect a great conversion and by effect actually a great return on investment. That’s my metric of success actually. That’s what I optimize for. Joanne: Any different opinions on what is the most important thing to look at? Jeff: It’s if you look at the title of the panel like that is a company wide metric and if that’s what you’re focusing on I think which he’s saying is part of that it’s too late. You have to look at the elements that go into that. On the website, you have so many different journeys that you’re paying for, that you’re driving organically, and you need to look at the micro journeys and the analytics on every single one of those to know where to invest more and where not to. All of those things drive the larger top line metrics that you’re going to show your board. Again, you want to be looking at these kind of data and like OK, looking at SEM and looking at the amount you’re spending for search and how much revenue you’re actually getting. Connecting those dots, and connecting those lines together, and then for all of your journey, because each one is different. Each one is going to have a different content journey along the way and there’s going to be different investments to optimize. Sunil: We look at all the traditional metrics as you would expect by channel, etc. At the end of the day, as a company, if you have customers that are willing to talk about your product and what an amazing experience they’ve had with it, it makes everybody’s job at the company easier. If you don’t have that, that’s going to make marketing’s job more difficult, sales job more difficult, just everybody and morale-wise. Trying to focus more on that and I don’t mean just NPS, its NPS plus, customer willing to do a webinar with you, spend a lot of time, at the end of day happy customers just makes everybody’s job easier. Joanne: Flip that question around on you guys for a minute. What do you think is not the right way to measure success or even just to measure cost of customer acquisition? Sunil: Volume. That’s the worst. I must have gotten like 5,000 BDR emails from some of your companies. Sorry, I won’t tell you which ones stunk. I can’t get a laugh out of them. Sunil: There we go. Volume is not…Effort should not be confused with results. There’s a lot of effort-based measurements out there that are not really valid and volume is not the answer. Jeff: I won’t even try to make a laugh. If someone who writes satire can’t, I won’t try. The focus on short term results can lead you down the wrong direction. It’s element of volume, element of like how can I get more into my database, all these sort of things. There’s the short term effect of like, “OK, what that’s going to do? Yes, it works,” or into a certain degree in the short term having all these SDRs, BDRs calling and emailing is something that you’re going to get some of the net, but there’s a cost to that. The long term cost of that is impacting your brand, impacting the way the rest of the world views it, and the way you want the rest of the world to actually leverage your technology. Again, really focusing on that top of the funnel there’s ways of doing that, but it is not the end all, be all. Guillaume: I totally agree. I can even give a quick story. At Segment, when I arrived, the sales team was doing some pretty aggressive outbound and they were actually doing what you said was burning through the market. The cost that you talked about is, there’s a brand cost, of course. There’s also a cost of once you talk to a potential customer with a pretty bad written email, like something not very engaging, that lead, that potential is lost for maybe a year or two at least in B2B. You’re not going to go back with another email within few months saying, “Hey, it’s me again.” That’s not working. You’re burning through the market. If you burn through all the nice and good leads in a few months, then you’re not eating afterwards. Jeff: Another misconception people have that because they don’t think about it in terms of what it takes to actually develop CAC is that it’s marketing and sales. As marketers, you’re focused on what you can control but actually looking at the journey about how your prospect’s going to turn into a customer, sales is an important element of that. Obviously, the website is a big part of your sales process, but in most companies, you’re going to have someone catching that lead and closing it. Making sure you’re optimizing that as part of your marketing and your strategy is really important. Sunil: Try to take the customer empathy thing really seriously. Think about your ARR and what your average sales price is. If you’re selling a $25,000 product to a customer, they’re going to take that as seriously as they would buying, I don’t know, a Toyota Sienna. Put yourself in their shoes. What do they want to hear? That’s an important element that just can’t be overlooked. But having that clarity around the top of the funnel, conversion, the customer experience, all these things, even just having perspective and hypotheses around that will help you once you go through the fundraising process. Maybe going to the brand question, how do you guys think about the coexistence of brand versus efficiency? Are those two things that you take into account in your organization? How do you think about that in general? Jeff: They go hand in hand. Again, it goes back to the holistic view, the way I personally look at it. I’ve always looked at the website itself as a product. It is an application that has user stories, that actually has a purpose, that’s optimizing, and you’re constantly developing for it. If you think about that way, as important as the product that you’re marketing, that is essential. If you go too far away, again, it goes back to the short term/long term, it will impact the brand. The idea’s like, what kind of brand do you want when you’re at a trade show? Do you want to just be scanning everyone that’s never going to convert to Sunil’s point about the top of the funnel has limitations, or do you want to be more focused on who is your customer and making sure you’re connecting with them? There’s many examples of companies that go too far that way and probably don’t succeed partly because of that. Sunil: The company’s brand is no longer the CEO’s brand. There was a period of time where you would just identify, “Well, Steve Jobs is Apple,” or whatever. The company’s brand is now the company’s brand. Joanne: Guillaume, Segment has had this great growth recently and also, significantly, growth in brand equity. How do you guys think about that? Guillaume: I don’t think there’s such a thing as one brand as we move into the future. I started at Apple and Apple has a very unique brand that’s able to pull customers to the product and the customers just adopt the message. The truth is that most of our companies are not Apple. We don’t have that gravity. We try to find the best average message and I think that’s a failure on our part because we’re not as good as Apple and the customer comes there and has that cognitive load and tries to understand, “Hey, does that message match with what I want?” That’s a failure because then we have the high bounce rates and people don’t understand it. They don’t convert. I think that as we move into the future, what we’re going to see is that a brand part of the marketing is going to come up with multiple messages, and I’m just not just talking A/B testing. I’m talking hundreds of different messages for each subset. Maybe even each individual to really customize and personalize the experience as we do in emails right now so that it really flows without friction even on the website. That is the next challenge that we’re working on. At Segment, that’s what we’re doing right now. We’re trying to understand all the people who are engineers in big company, how do they think about Segment versus marketers and small companies? Again, beyond personas. Joanne: Going back to measurement a little bit, how do you guys measure that more specifically? Guillaume: Of course, we’re Segment, measurement is at the heart of all of what we do. We measure very aggressively. We track everything that’s happening on the website, outside of the website on second party data, like emails, how people interact with our emails, how people interact with us socially. Something else that’s happening right now we’re seeing more and more enrichment happening. When we have a signal from a potential customer, we actually enrich that data with providers such as Clearbit and we then get a better picture of the customer, a 360 degree picture of the company they work for, the size of the company. That helps us a lot personalize the experience. Enrichment is something that’s really key to our success right now. Joanne: Maybe we can go into tactics a little bit. It’d be interesting to hear about how your organization is structured and who’s accountable for CAC, one. Second, if you think about your marketing tech stack, what does that look like? We can dig into that a little bit. Sunil: Sure. I’m accountable for CAC. [laughs] These two guys might say the same. I’ve got a really great product marketer who’s here, Vineeth, a really great demand generation person, Alex, is here. I’ve got a content manager, designer. We actually run SDR out of India for the processes inbound leads, and that does report to marketing. In terms of technology stack, we use HubSpot. There’s been the typical back and forth with the marketing org about Marketo or HubSpot. We’re at HubSpot right now. Salesforce, standard acquisition methods, Google PPC. We use a few different lead providers. We’ve tried and had some success with, early in the buying process, providers like technology advice. Later in the buying process, software advice. We’ve used, with a lot of success, Capterra PPC, we’ve used with pretty good success, we’re working with G2 Crowd. I think pretty highly of them. The challenge with all of these, at the end of the day, the volume is early in the buying process, and executing against that, the rest of the conversation brings down your cost of acquisition and we’re still a work in progress very much on that. But we know how to generate a lot of volume early in the buying process. Jeff: I’ll talk about OpenDNS, where I was there for three or so years and then Cisco. It’s interesting. We are leveraging a lot of what we’re talking about here at a very massive scale but I think more relevant for this conversation is OpenDNS. We were a bit of a point solution junkies in terms of marketing and sales point products. They really drove a lot of decision making that we did, the core that we did. Obviously, we were a Marketo shop. We use Lattice engines. We use Gainsight, because I think again, it’s a part of the whole customer journey from brand introduction to renewal. The upsell motion is a big part of that. Those are the core tenets. We were very much about trying out different tools to see how…Again, throwing spaghetti at the wall is OK, but you have to measure and then make sure it doesn’t confuse your overall outlook. We also used BI tools, really, to look at, again, not just marketing but across revenue management, we called it, and that was a really successful way of doing it. Guillaume: I’m definitely the tool junkie. A fancier word would be marketing technologist. It’s the same thing. We use a lot of tools. We spoke about Clearbit. Again, all of those tools are for B2B. Clearbit for enrichment of customer profiles. We use MadKudu, which is a great vendor that we use for all of the scoring, scoring the lead quality. Just to give you an idea of how performance that is, they’re able to predict 75 percent of our revenue within 10 percent of all leads. It’s pretty significant. We use Drift for the live chat, which has been super successful for us in the past month, because we use it in a pretty unique way. Customer.io for emails, MonkeyLearn for the machine learning, a lot of Zapier here and there. Of course, Segment. Sunil: All you say is just, don’t sell to smaller customers, please. Just immediately cut out the small customer segment, CAC. CAC looks a lot better, right? You’re only marketing to mid-market, and large market. That’s a quick solution to that problem. I’m not winning that argument, by the way, unfortunately. We sell to small business, mid-market, large market customers. We’re everywhere right now. I’m going to be honest, cost of acquisition to the small business segment has just gotten insanely high, almost impossible to get through a CAC of one. It’s just increased competition. There’s some implicit market things happening, obviously, with all the pay per click programs getting higher in price and you can see that from Google data. The answer is, invest more in content. But that’s longer term. Until we start seeing gains from that, it’s a waiting game. Joanne: If you push the content button up a little bit, and you’re the expert in content, what kind of advice would you give a company thinking about going to content as…? Sunil: Don’t go half in, go all in. Go all in. By all in, I don’t mean just writing the content. All in is, have all of your employees publishing on LinkedIn, have a strategy around distribution for every single post you put out there. Have impactful posts that come from your CEO or whoever’s appropriate in the organization. Do the game-y things, which is have your entire employee base like it on medium. If you get to 50 medium recommends pretty quickly, you have potential to get into top stories. It can go very fast. There’s game-y things you can do like that with LinkedIn as well and other game-y things you can do with SEO. Go all in, make the full investment. Don’t wait. Don’t do it halfway. Joanne: Jeff, any horror stories where you were killed by CAC? Jeff: I’d say, every time we saw that coming, we actually changed strategy, in a sense. The first time in OpenDNS was when we were starting to go up market. We really embraced the free trial. We’re a SaaS security company, which is pretty hard to do for those personas. We made a company wide focus to build a free trial as part of the product. The customer journey, again, began on the website and then went to the call to action. Every call to action, you can still see it when you go to the site, is for a free trial. Then we optimized that. We brought in new technologies, actually, to measure that and to make sure the experience was meaningful for the free trial. Now, if you look at it, 75 percent of our ARR has a free trial. Some of them are fully deployed. It actually serves a lot of things, but it allowed us to show the value as we were making a transition and CAC was going the wrong way. The second time this happened was as we were getting larger and we were, I guess, series C round…That probably means different things to different people. When we decided, “Listen, we need to focus,” that’s when we started embracing some of the account based marketing techniques where we would focus on the thousand companies that we wanted, which all of a sudden, that’s like, you’re not going for the world, you’re going specifics and getting programs and content that spoke to the innovation of what we do and also how we brought them through. Those are two areas where we actually change strategies. Again, memory has an interesting way… There were some failures along the way in getting there but that’s how we ended up. Joanne: Going to the account based marketing strategy, what kind of advice would you give startups for thinking about going in a direction? Jeff: Start small. It’s account based marketing. It’s focusing on your customers. You can do it in a smaller segment. You can do it with not a lot of money. We did things like just sending a unique item and following it up. The other thing, and other people have written about this too, is it’s really account based marketing and sales. That’s a really important tie in. It’s a great way. If you’re having any friction between marketing and sales, which I’m sure never happens, it’s a great way to bring them together because it’s very much aligned with sales goals. They have people. They have a funnel. Most of the time, it’s mid funnel. There’s great examples of doing a very great account based campaign, which could be as simple as sending a picture. We did a whole visualization of companies’ networks. We would send it to them. That would start driving a new kind of conversation. Then the salesperson and the SDR right LinkedIn and it can bring harmony. Joanne: Guillaume, I know that segment is about experimentation. How do you think about quitting experiments? When do you say this is successful or not? How do you move on from that? Guillaume: That’s one thing that’s interesting that I can talk about, which is in B2B, the sales cycle is extremely long. We’re talking with anyone doing three months, six months, sometimes nine months on big accounts. If you have a campaign on experiment and you got to wait nine months to know if there’s actually positive CAC, your speed or your pace of experimentation is extremely low. That’s a problem that we have solved recently by using one of the most recent API and points from Clearbit, which is reverse IP detection to find a domain behind an IP. The coverage is pretty good. Around 30, 40 percent of domains we’re able to find. The good thing about that, it means we can actually score those companies and understand is the traffic of high quality? That’s immediate. That takes us one second to second and a half, which means that instead of waiting for nine months, within one second after the hit, we know if that’s actually potential lead. It leads to a lot of important discoveries. The first one is after a week, we have enough traffic, you know if the company’s going to work or not. You can predict the result of the company. Second thing is that if you know it’s a high quality lead and it’s hitting your website, should you do things differently? What can you do differently? One of the answers is, of course, to do pop up chat. Second answer is to change your website dynamically. In our case, for example, we’re working on something to hide dynamically the pricing page and the sign up button when there’s a high score visitor, because we don’t want them to sign up. We want them to go for a demo. That’s the things that we do. Joanne: That’s great. How long did it you guys to have this insight? What was the evolution of this? Guillaume: I get approached by vendors a lot for new APIs and new end points. I have a whole funnel of testing my experiments. Now we’re building, really, on top of this whole IP discovery and enrichment and scoring and adding a lot on top of it. We’re going pretty fast. The challenge we’re finding right now is that we’re seeing more and more signals that we can buy, people coming to our website. People attending a conference is a data feed that we can buy also. Those tend to overlap. What should we email? What should we chat about with the people? That’s a huge point. The next frontier is going to be building a kind of an AI layer, which is going to, say, inform us who should we speak to within the company, with which channel, email, chat, website, about what topic because there’s too much overlap. That’s something we don’t have yet but we’re really thinking about. Joanne: There’s a lot of noise in the MarTech ecosystem, a lot of vendors promising, “We’re going to help you lower CAC. We’re going to do X, Y, and Z.” What advice do you guys have for startups trying to reach you? Jeff: Good luck. It’s hard. The value proposition, it’s so digestible and you love it and you want it to work. We’ve all been burned many times. We also have great vendors that we use and love and trust. It’s being able to show value and making sure implementation doesn’t kill you. Those are two things. Really being able to show it in a short period of time and making sure that the implementation doesn’t require you to tap the CIO, the CFO, and everyone else to actually get it done because those are pretty high barriers. Sunil: Don’t make my job more difficult. There’s just a lot of vendors out there. There are a lot of vendors trying the same approach. We’re at a weird stage in Demand Gen where everybody is just converged on the same solutions to market to us. That’s a bad place to be. Originality and authenticity are key. People want to feel like there’s a personal touch on everything these days. A lot of startups have created a false sense of rigor around over measurement of stuff and over optimization. It shows in their marketing pitches. Guillaume: I’m very playful, so I like testing a lot of things. Joanne: You’re going to hear from a lot of people after this. Guillaume: There’s two things. One, because I’m segmented, it’s very easy for me to send my data. The click of a button, I just start sending my data. I never accept a pitch based on fake data. I always ask companies to work out of my own data and show me actual results. I do Hunger Games, which means that I actually put startups that do the same thing, one against the other, and I ask them to share the results so that I don’t even need to discuss closing with the best company. They see it for themselves. I did that with the scoring technology. I actually had three vendors work out of the same database and we write back the scoring to the same warehouse. It was super clear who was winning at the end. Jeff: A quick thing that I thought of is when you can, connect it to the other parts of the go to market machine, that’s what we’re dealing with. Most of the data that you’re providing and insights you’re revealing connects there. The more you can build your product to help facilitate that for us, I think those are companies that will win, in my opinion. Sunil: The other thing about startups is, people want to hear from the CEO. They don’t want to hear from a BDR. They always want to hear from the CEO/Founder. We can pretty quickly identify who’s a startup or who’s not. You may try to appear big but we can bet that pretty quickly. There’s CrunchBase, there’s LinkedIn, there’s whatever. If you’re a 10 person company or even a 20 person company, and we don’t hear from the CEO, I don’t want to talk to you. Joanne: Last two questions. One, what is your biggest challenge with CAC? I know Sunil already touched upon some of that. Second, what advice would you leave the audience, around how do you improve their CAC so that they can also come back to you with thoughts or advice if they have some? Sunil: I’ve got to process my thoughts on this one. Jeff: I’ll give you a counsel on things that no matter what size of company you work at, especially if you’re going into a new market or even your own, take some examples of your last 10 wins in the different markets, and do a point by point analysis of what they did to get there. I’m shocked at how many companies don’t do that. You can learn and do it again with sales, with marketing, with customers, however you do it, and map out what happened, what moved those customers to do it. Look for those trends, look for where you were successful, what was the investment point. Again, the whole point of the metrics that go into CAC are where to invest more or where to stop investing. It’s amazing what you could do in finding out new areas of investment or places to pull out, but also what content worked. Sometimes talking to sales people on what actually moved the customer to close, you can then take that and turn that content into a digital asset at the very beginning of the funnel, beginning of the journey. That’s something that everyone can do. It doesn’t require any money. It doesn’t require a vendor. The insight you’ll gain from that are going to be pretty tremendous. Joanne: How about an area where you will love to get some advice regarding CAC? Jeff: I’m still looking for a lot of the predictive technology that can actually help me in a meaningful way. We’ve done elements and it works in a smaller… especially at scale. Like now we’re talking at Cisco. Also, to be able to do it in multi segments, we sell to everyone, and everyone is a customer. Applying that especially to the customer success journey is something that we’re always looking for. Guillaume: I’d say good data. Get more data. Start using that data to create a rich experience, a personalized experience. You’d be shocked to know by how much a rich personalized experience has improved our conversion rates which impacts CAC in very much the same way. That’s my main advice. First, go into personalization heavily. The other thing is go and be first into a new channel. The cost of acquisition is so low when you’re first to a strategy, first to a market, it’s shocking. 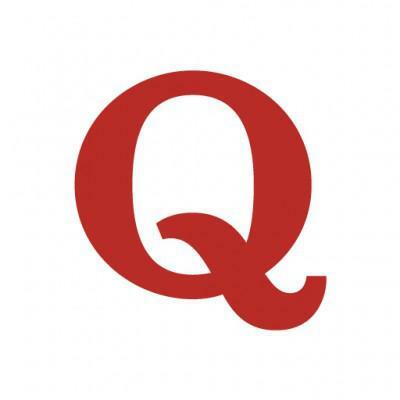 For example, right now, Quora is opening their ads platform, go there. Joanne: How about areas you’re still working on? Guillaume: I’m still working on applying personalization into Web on first page load. It’s pretty easy for us to apply personalization on things that are not synchronous like email, live chat, phone calls, because we have the data. Using that on the very first page of an anonymous visitor requires processing that data at scale in that speed in less than 0.3 seconds. That’s technically very challenging. Sunil: Driving CAC down/my major takeaway would be find large swaths of people. Don’t go after super targeted all the time. An example of that would be…Your buyers all talk to each other. I’m sure you know that. When we were building Scripted, two sided marketplace, writers, businesses, we needed to build up the writer’s side of the marketplace, initially, we found that ton of writers hang out on Meetup. We found a loophole on Meetup which was, if you join a Meetup group, and you send an email to the Meetup group, it actually goes out as if it’s a personal email to the entire group. You do that, and you can find thousands and tens of thousands of writers very fast if you’re going to hire BDRs through oDesk, or whatever. Large swaths of people, your buyers all talk to each other, they hang out with each other, they influence each other’s decision making power. By getting to them at once, you can drive down CAC pretty rapidly. Joanne: Thank you so much guys. Please join me in thanking the panelists here. Joanne: I hope you guys learned something interesting. We’re also working in lowering our CAC. What is the proper way to offboard a SaaS customer?